I said yesterday that God just wants his choices to be willing, not necessarily qualified. If what we learn doesn’t challenge us, give us new insight or reasons to question some things it is not doing the intended…Through the parables especially, Jesus challenged people’s long standing thoughts and practices and made them think, Scripture just does that when we look to grow deeper in our faith. It makes us think. If I only study the Scriptures with the intended purpose to confirm what I already know I’m missing something. We study to gain new insight, new purpose, to be open to how God is attempting to act and to move in our world…study gives us the ability to be like those before us that God used to accomplish his purposes…the ability to listen. 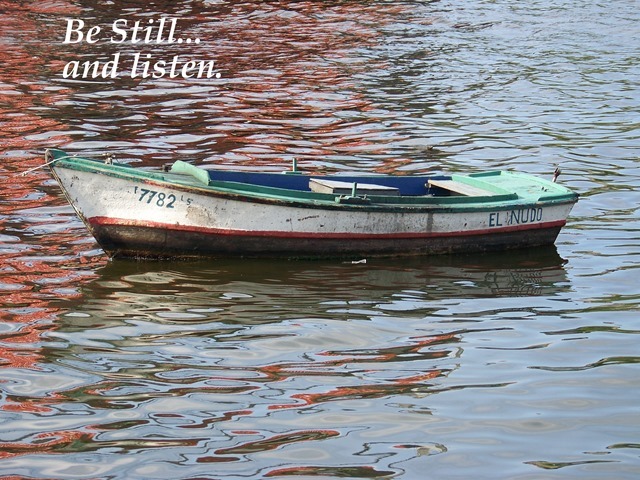 Be still…and listen.